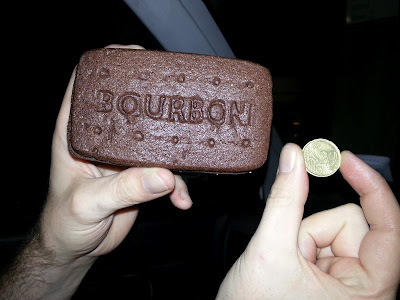 Costa Coffee Giant Bourbon Bickie! How cool is that? They also do a giant custard cream too. Unfortunately, they look much better than they taste. Suppose I'll just have to go for a takeaway hot chocolate with marshmallows and team it up with some cookies of my own.